culture, art, entertainment for Riyadh citizens. One of the kingdom's ambitious projects, King Salman Park was recently launched by King Salman bin Abdulaziz along with three other wellbeing projects worth $23 billion in the capital Riyadh mainly aimed at improving the lives of its citizens besides transforming the city into an attractive destination and making it one of the world’s most livable cities. 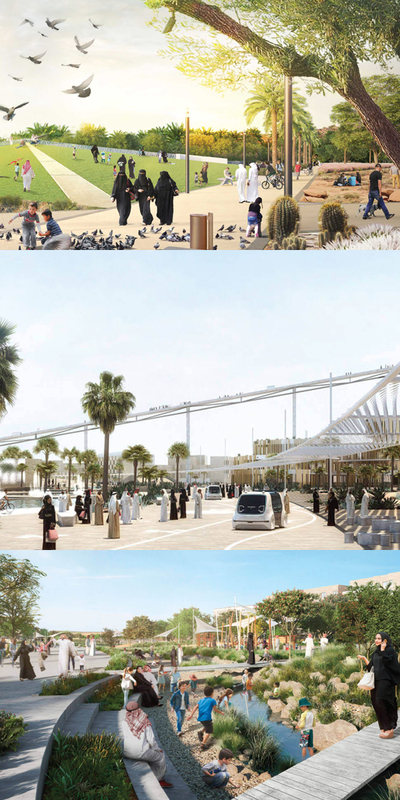 The other three - Sports Boulevard, Green Riyadh and Riyadh Art - complement the Saudi Vision 2030’s “Quality of Life” Programme and are aligned with the UN Sustainable Development Goals, to create sustainable cities and communities, while driving urgent action against climate change. The King Salman Park will also boast residences and hotels besides featuring a Royal Arts Complex, theatres, museums, cinemas, sports venues, water features, restaurants and an 18-hole Royal Golf Course.